This is a series of lectures established in 1983 in honour of Mabel Frances Timlin (1891-1976). The hosting of the lectures alternates annually between the Department of Economics and the Department of Political Studies. 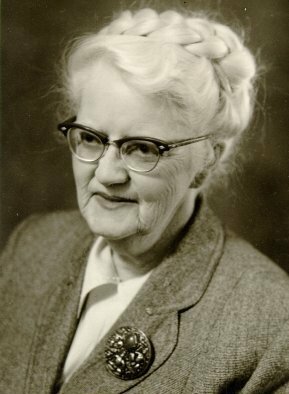 Mabel Timlin's association with the University of Saskatchewan began in 1912 when she took employment as a secretary in one of its departments. In 1929, she was made director of the University's program of correspondence courses, a position she held until 1942. She began her graduate training in economics in 1932, when she registered as a doctoral candidate at the University of Washington. Taking summer courses and one six- month leave, she fulfilled the residence requirements by 1935. That year she was given her first regular academic appointment: instructor of economics at the University of Saskatchewan. Her dissertation on Keynes's General Theory was completed in 1940 and published by the University of Toronto Press in 1942 under the title Keynesian Economics. From Keynesian theory, Mabel Timlin turned to welfare economics, which she studied while on a Guggenheim Fellowship in 1945. She next took up a study of immigration policy which was to occupy her attention for many years; on that topic she published a brief monograph entitled Does Canada Need More People? (Oxford University Press, 1951). Her scholarly papers, a dozen in number, on general economic theory, welfare economics, monetary policy, and immigration policy were published in the Canadian Journal of Economics and Political Science, the American Economic Review, and edited volumes of essays. After retiring from her university appointment, she completed a commissioned study of the funding and organization of social science research, which was published in Mabel F. Timlin and Albert Faucher, The Social Sciences in Canada: Two Studies (Social Science Research Council of Canada, 1968). In all, hers was a prodigious output for one whose first work saw print when its author was fifty years of age. She held office in the Canadian Political Science Association (member of executive 1941-43, vice-president 1953-55, and president 1959-60); and she was elected, by ballot of the membership, a member of the executive of the American Economic Association (term 1958-60). She was elected to the Royal Society of Canada in 1951 and awarded a Canada Council Senior Fellowship in 1959. In 1975 she was named a Member of the Order of Canada. For more info, please phone (306) 966-5197. 2013 - M. Scott Taylor, Can Green Power Save Us From Climate Change? 2004 - R. Kenneth Carty, Doing Democracy Differently: Has Electoral Reform Finally Arrived? 1987 - Michael Parkin, What Do We Know About Business Cycles?